Webworms are an end of summer nuisance. Many people wonder what to do with this pesky insect, the webworms. Webworms are nothing but a small caterpillar form of white moth in the family Erebidae. They are generally well-known for their larva stages, their usual mutation is usually during late summers and fall which takes place in the hardwoods. These webworms make a webbed nest in the hardwoods of the deciduous tree limbs (mostly alder, willow, cottonwood, elm, walnut, apple and peach trees). Webworms can be further classified into Web worms, and Eastern Tent Caterpillars. Studies reveal that there are over 600 species in the webworm family and considered to be the most polyphagous of the insects. They have got this name because of its parasitic nature that has the tendency to devour plants and trees and in some instances kills trees on severe infestation. Bagworms are perennial insect which usually causes damages to juniper, pine and spruce trees. These insects are considered to be the worst pest to plants and trees because they can cause extensive destruction. They belong to the family Lepidoptera which falls under the combination of butterflies and moths. As the name says, this insects usually appears in the form of bag shape in the outward appearance. Appearance – Bagworms are basically larvae and caterpillar of moths. Adult moths generally have hairy structure. Their wingspan extends about 1 inch long. Apparently female moths have a slightly different appearance. They have a pretty good looking yellow color (lemon yellow) that makes them look attractive. They resemble more like maggots rather than months. These insects are so small, their size is almost the size of the tiny caterpillar. Food of Bagworms – They are parasitic insects causing considerable harms to plants and trees. They are pretty nasty insects and injure the leaves and needles of the plants. They feed on leaves for food. They mostly reside on conifer trees and devour the needles of the evergreen trees. Bagworms habitat – These insects are mostly found in the regions of United States generally in the parts of Mississippi River. Their major habitats are in trees and shrubs, especially in the conifers, juniper, and cedar. They are also found in different other countries like South-Africa, Croatia, and northeast of Iran. They can live wherever they find suitable host plants, especially in forests and landscapes. Since their webs are made of silk nesting and plant debris which looks like a spiral pattern that makes them more camouflaged from predators. Predators are groups of ruthless birds and insect-eating plants that exploit this habitat. Lifecycle – The lifecycle of the insects is divided into four broader categories, the egg, larvae, pupa, and adult. The adult moth lays eggs in the leaves of the plants and trees, bagworms pass the winter inside the eggs in the spindle-shaped bags that resides on the leaves. Once they hatch out of the eggs, they arrive at the caterpillar stage. This takes place usually takes place in the early summer generally in mid-June. During the caterpillar stage, they live the entire cycle in a tough protective case. The larvae continue its feeding until it matures, this takes approximately 3 months period to reach the adult stage. Now it would have already turned in to a pupa stage, after a month’s time, it becomes adult bagworm. Adult worms mate to produce offsprings when they are fully mature and ultimately dies afterward. Male bagworms die immediately after mating because of the under-developed mouth parts which prevent them from feeding, however, female adults just live long enough to lay hundreds of eggs (500-1000 eggs) and die thereafter. 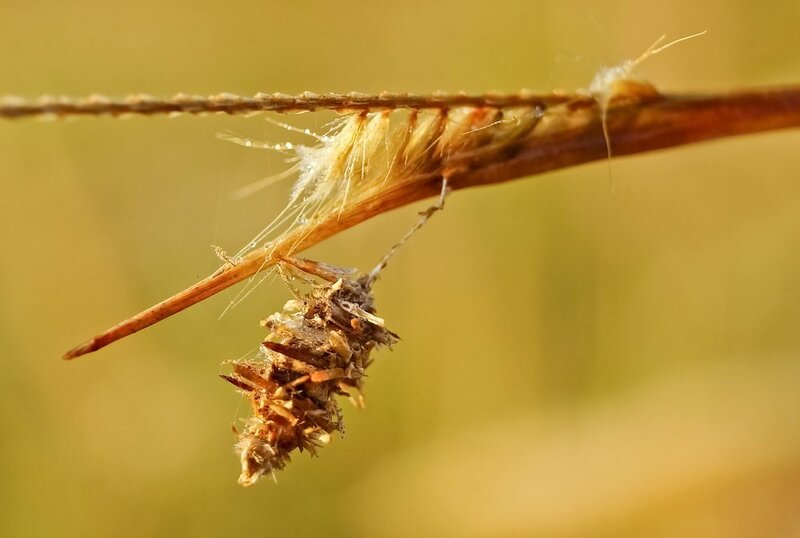 Bagworm damages – Bagworms may be a serious problem every year. They have the potential to defoliate and destroy many evergreen trees. However, they are not poisonous or dangerous to humans and animals, unlike tent caterpillars. Still, there is evidence that reveals bagworms cause blockage to the livestock. Bagworms are nothing but moths that serve on bushes and trees during their larva phase. Their main source of infestation is deciduous trees, fruit trees, and conifer trees. They can cause substantial damages if not controlled early because of the rapid multiplication in their population. When shrubs and plants are small it is better to hand pick the pest to clear it off rather than using an insecticide spray. Apparently, when the host has grown bigger, it is impossible to clear bagworms, so you need to adopt a certain mode of treatment to clear the infestations. If not done early, it has the potential to kill the plant or trees in whichever they are feeding. Bagworms are often not detected by amateur onlookers until you witness a serious damage to the host. They are gregarious – The young larvae are gregarious and they are extroverts feed together. They like socializing and love camping together in the communal silk tent. They use these tents as a refuge during the early morning, late evening and especially during rain showers. In the early stage, they develop only smaller tents, apparently as they grow they expand their tents to accommodate their sizes. The tent of Eastern tent caterpillars– Tent caterpillars lives in a group within their silken tent. The silk-like threads are produced by glands in the head. These tents protect the insects against their enemies. 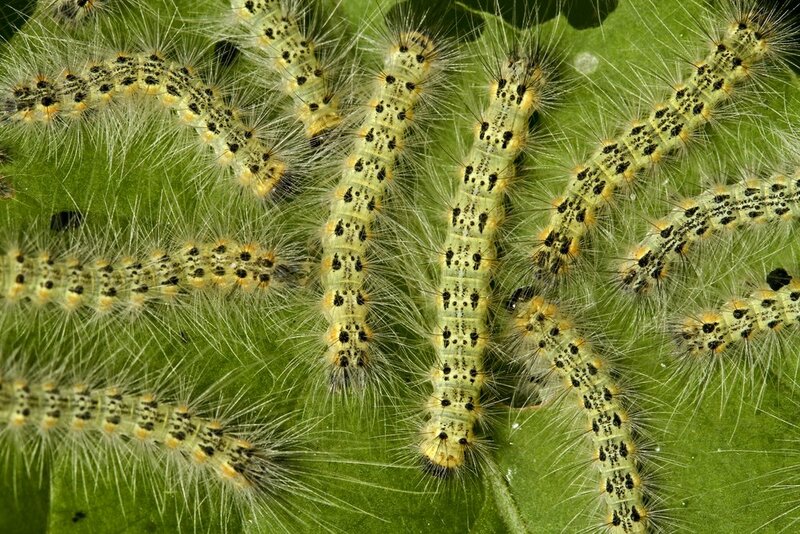 The larvae of tent caterpillars feed on almost all the plants and hence it is considered as a severe defoliating pest. They also feed on ash, birch, crabapple and willow trees. Tent caterpillars have the potential to build a permanent home for their living. They start to build their tent based on location suitable to them. The main aspect while choosing a location is, they want to receive the morning sunlight, so they prefer to build the nests on the tree crotchets. These caterpillars are hungry insects so they have their meals almost all the time, however between meals they use their tents as a resting place to stay away from the predators. Tent caterpillars use pheromones to communicate – Some insects use techniques to communicate with the other insects, similarly tent caterpillars communicate with their siblings in a more classy manner. They use the pheromone trails to indicate its siblings about the availability of food when they come across the surplus amount of leaves. When you look keenly about their movements, you can notice the stops and sniffs of the insect. Reproduction pattern of tent caterpillar – The adult female moth sediment the newly laid dark brown or gray egg masses in the branches or twigs of the tree. The egg masses comprises of 150 to 400 eggs. The reproduction phase usually starts in the mid of the summer (late May or mid of June). Most species of tent caterpillar overwinter in the egg stage. Caterpillars grow rapidly and complete the larva development. The caterpillars spin the nest after five to eight weeks of feeding. After 10 days or a fortnight, the adult caterpillars emerge as moths and the cycle continues. They have one complete generation per year. Potential damages caused by tent caterpillars to animals and birds – Tent caterpillars are potentially poisonous to all birds except cuckoos. Although children find playing with the caterpillar as a great form of amusement, yet they are potentially dangerous. They create irritation on the skin of humans and animals when touched. 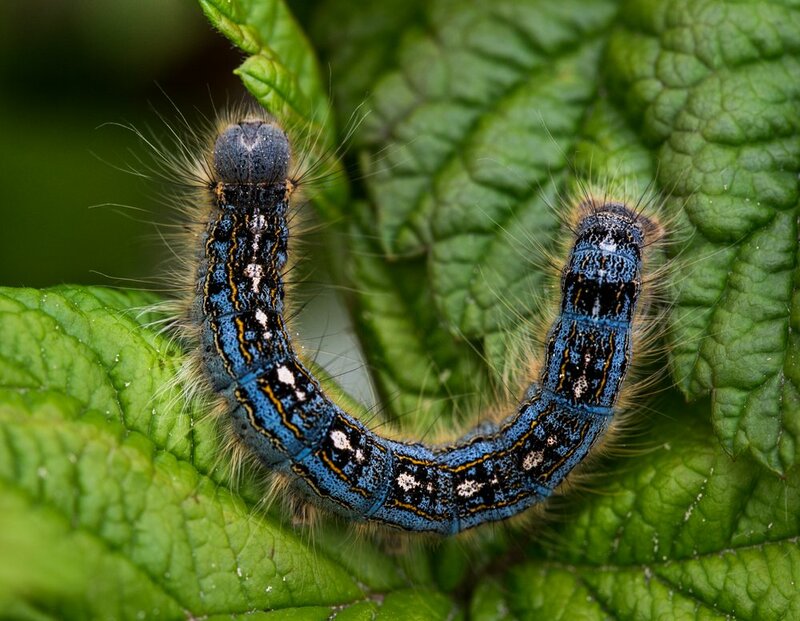 Studies reveal that tent caterpillar can cause abortion in pregnant mares. Mares are herbivorous animals which graze grasses for their living. While grazing, mares unknowingly ingest tent caterpillars which are deposited on the leaves of the plants. These worms when entering the stomach of the mare, penetrate the walls of the digestive tract and produce bacteria in their reproductive organs as wells as the amniotic sac. This infests the animal’s organs and ultimately results in the abortion of the fetus. This is also referred as mare’s reproductive loss syndrome. Based on the overwhelming reproductive losses, this condition was named MRLS (male reproduction loss syndrome). Based on multiple evidence, it is revealed tent caterpillar is a culprit for mare reproductive loss. Damages caused by tent caterpillars– For instance, the disappearance of leaves in some trees may be due to the symptoms of tent caterpillar. They have the potential of consuming leaf cluster on a large scale. Tent caterpillars are known for early season defoliator with feeding damages, which usually occurs between May and June. Depending on the severity of the damages caused, more than one type of insecticide application will be required for the pest control. Sometimes trees are more susceptible to diseases and infections because of these worms. Webworms are usually seen across Arkansas from late August until late October, apparently, they are not seen until mid-summer. They are general feeder on all kinds of trees although predominantly deciduous trees. Yet they are not very much interested in conifer trees. They don’t do their feeding on conifers. Conifer trees are hardly evergreen trees that are basically pest resistant. This characteristic prevents webworms to build their nests in these types of trees. Webworms have the appearance of tiny ice-cream cones which are usually made of bit and pieces of plants. 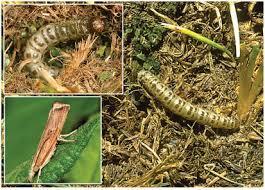 Several species of webworms also known as lawn moths generally infest home lawns. 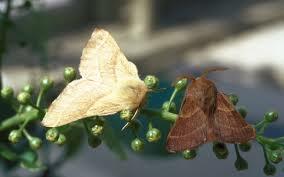 They are buff colored moths that are half to three fourth inch long. Some species of the insects have small, murky lines that are found on their upper part of their wing covers. They have a pair of the antenna in their heads which is usually referred as a snout. The antenna appears like fingerlike projections protruding from their head. Because of this projection, they are often referred to as snout moths. Moth when resting wrap their wings around their body. During rest, they have a tubular form or shape. When they see an intruder or danger approaching them, they fly upwards for a short distance and later scurry into the grass. The adult female worms lay the eggs on the back part of the leaf surface. This basically happens during dusk in a ringing pattern. After a week’s time say about 7 days, the larvae hatch out of the eggs. They have a different variation in the coloration which ranges from pale yellow to dark gray with tiny yellow spots with little hairy structure. Once they come out of the egg they spin a silky web around them that looks like a cocoon. They feed and grow inside the cocoon until they grow into the adult stage. Larvae are spotted as thick bodied, spotted with coarse hairs that are very active. Over a period of time, as they grow, they enlarge the web and turns into a pupa. It usually takes place in the silken cocoon. The last stage is the adult stage in which the pupa turns into a moth which is generally half to one inch long. The underwings of this creepy crawly have less marking than the forewings. Several close related species of webworms have similar kinds of life stages, however, some species have a slight variation in their lifecycle. Southern population of webworms complete their lifecycle (that is the four-generation cycle) in one year whereas the northern population of the webworm completes only one lifecycle. The predominant difference between the male and female webworm is their body structure. Male worms have a narrow abdomen. Apparently female insects which lay eggs have a bigger pronounced abdomen to fertilize eggs. After mating, female moths when flying drops the eggs in a scattered position in the grass. Adult male worms are generally attracted towards herbivore volatiles than solvent control. Another important difference between the male and female insect is with their appearance. Female insects are pure white in color while the male insects have black spots on them. Webworms are often noticed as soon as the summer sets in. People of Texas would definitely have the experience of seeing this creepy little insect. The Pecan trees in Texas are highly infested with webworms during the summer and fall season. Some would have also experienced some strings by these bugs if you have been around those trees. The good thing is, the pest is not poisonous except for the little pain caused due to the bite of the insect. They are not easily visible to the inexperienced observers because of the nest they build in. Apparently, you can notice the presence of the insects when big visible leaves are foliated. However, it is often risky to get rid of this pesky creepy crawly because of their webbed characteristics. In order to get rid of this pest, tree owners often cut down the branches and set the branches on fire because many times insecticide sprays are not effective in terminating them. This not only causes damages to the pest rather the host is equally affected. Controlling webworms are often difficult due to their large number and variation of the host they live in. This shows that webworms are serious threats to plants, shrubs, and trees or whatever they are residing in. They are much worse than they look attacking the beauty of the trees and its growth. Webworms are a real nuisance than anything. They are nocturnal insects that are relatively susceptible to insecticides and some biological agents. Although insecticide is not required, a however light coating of appropriate insecticidal spray has greater effects when applied on their nests. When you find big and visible leaves suddenly disappearing then there could be possible symptoms of webworms. These creepy little insects are sure threats to infest home lawns.